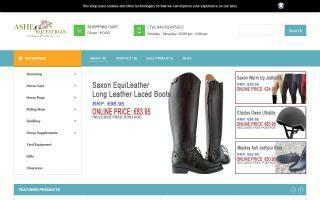 Ireland Horse Directory - Page 2 - O Horse! It's difficult to translate the charm and magic of Ireland on horseback - Horseriding holidays in Connemara - Connemara Trail and Coast Trail. 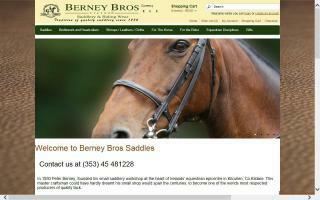 Offers equestrian and outdoor activity holidays with luxury accommodation. Located in the heart of Ireland, it is the ideal location for a holiday with a difference. 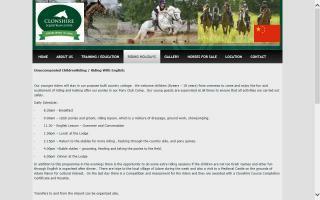 SportsHorseIreland.com is the online home of Ballinamuddagh Stud, an Irish stud farm. 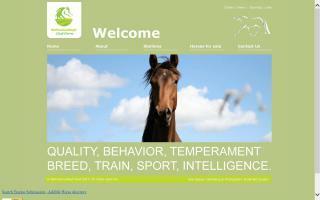 The stud has horses ranging from stallions to broodmares. A selection of our home bred foals, broodmares, potential showjumpers, eventers, hunters, and leisure horses/ponies are for sale. If you are looking for a superb equestrian holiday with English style riding, then you have come to the right place. 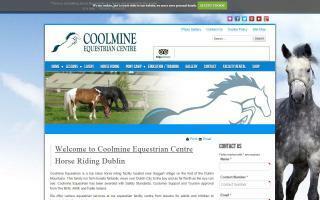 Coolmine Equestrian Centre in Saggart, Co Dublin, is a top class equestrian facility situated right in the foothills of the Dublin Mountains with awe inspiring views over our capital city, Leinster, and the Irish Sea. Owned and managed by the Lynch Family, Coolmine Equestrian brings the fun, family friendly ideals to life in the riding school, livery stables, and equestrian holiday centre. Luxury horse riding holidays and day treks on Ireland's magnificent Dingle Peninsula. We organise everything. Superb horses, superior facilities, quality accommodation, and of course, adveturous rides though the magnificent Irish countryside.